The upcoming Consumer Electronics Show, CES 2011, would uncover products including, gadgets, accessories and mostly from the world of day-to-day tech innovations. 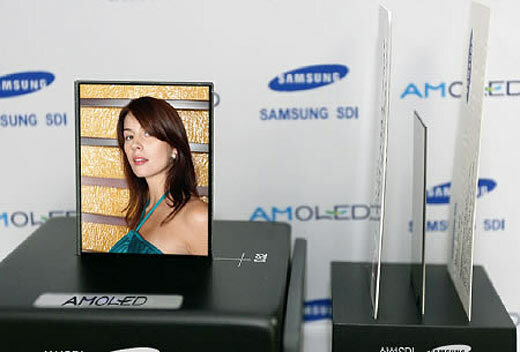 Samsung has been able to catch consumer attention from the very start and now with news from the tech giant to unveil the smallest AMOLED panel for Mobile Display, with the company also having intentions on releasing such a panel for the TV and monitor market . The 4.5-inch WVGA Flexible AMOLED offers world with the highest flexible display resolution. Samsung Mobile Display would be showcasing a prototype being one of the most advanced flexible AMOLED display which is only 2mm thick, 4.5-inch flexible and delivering a resolution of 800 x 480. Compared to previous flexible AMOLED prototype’s available in the industry, the upcoming concept prototype would offer a display resolution four times better than the other products available in the market. The flexible display integrates a new plastic substrate which can withstand temperatures such as 450-500 degrees, required in the manufacturing process. With the use of plastic substrates, the display becomes lighter as well as thinner compare to use of glass substrates. The 4.5-inch Flexible AMOLED prototype is being specially designed for smartphones and tablet PC displays, which is a major breakthrough.